BT is demanding that local councils grant access to street furniture on a fair and equal basis, arguing that the current model of exclusive agreements stifles investments and could slow down 5G deployments. Under the present model, mobile operators bid for contracts with local authorities for the exclusive rights to deploy micro-infrastructure such as small cells on furniture such as lamp posts and bus shelters. Any other operator wishing to use these assets must pay a wholesale charge to the exclusive rights holder. Operators and infrastructure firms such as Arqiva have used these agreements to deploy small cells for 4G networks in busy areas to boost coverage. However small cells will be a critical component of 5G networks, helping to deliver the micro capacity and coverage that will power a wealth of next-generation applications that will require constant, low latency connectivity. BT says this the current model is unpractical for the 5G era and in any case believes the reformed Electronic Communications Code passed in December 2017 renders these agreements void. Instead, it believes councils should charge any operator who wants access to street furniture a “low cost” flat fee. 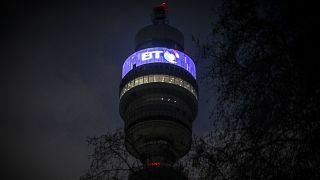 “While the concessions model made sense in the early 2010’s when it first came into common use, the market and regulatory landscape have changed and it’s become clear that exclusivity agreements act as a barrier to further 4G and 5G investments,” said Paul Ceely, director of network strategy at BT. To push its vision of open access, BT is holding a workshop in Birmingham, home of the West Midlands Combined Authority (WMCA) 5G testbed. It says it is also prepared to relinquish the nine exclusive agreement is has in place to facilitate the change. These are in Glasgow, Cardiff, Brighton, Plymouth, Carlisle, Newcastle/Gateshead, Nottingham, Gloucester and Leicester.